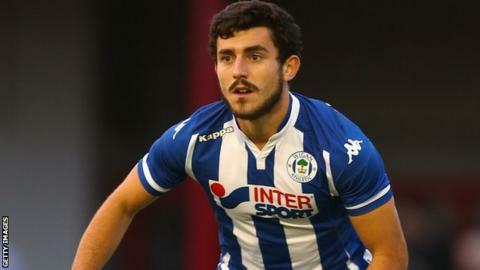 League Two side Grimsby Town have signed former Wigan striker Louis Robles on a one-year deal from Spanish side San Roque de Lepe. The 21-year-old joined Wigan in 2014 after leaving Liverpool's academy, making one first-team appearance. He has had spells with clubs including Bangor City and Atletico Baleares since leaving the Latics in 2017. "Louis' first job will be to earn the right to play by working hard," manager Michael Jolley told the club website.